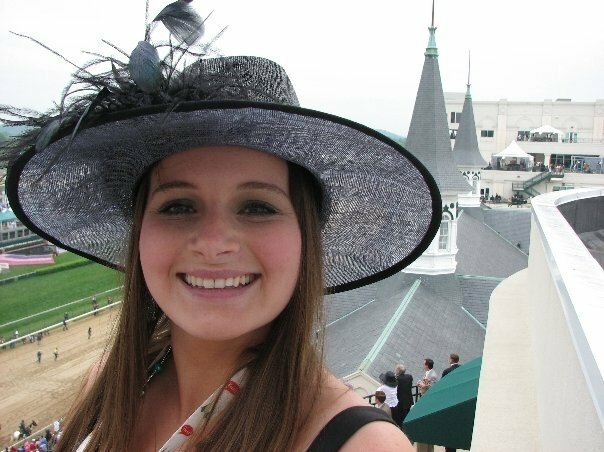 One of the perks of working in Louisville is covering the Kentucky Derby. I’m Emily Hagedorn, a print journalist living in Louisville, Ky. My writing runs the gamut from pension plans to Elvis impersonators, murderers to Medicare Part D. I’m the Oldham County/Northeast Jefferson County reporter for The Louisville Courier-Journal. To get a sense of my professional work, please peruse my resume and clips. You can also read a “journalistic autobiography” that I wrote as part of a fellowship application in 2010 and my first blog post on this site, “(Insert witty title about me here),” which gives you a sense of what to expect from my blog. My home is in a constant state of flux with half done interior design projects, crafts I intend to someday finish and supplies I will someday turn into great works of art. A few finished projects are also sprinkled about. Check out my Pinterest page for projects I’d like to try and other things I find intriguing and beautiful. I love NPR, and if I’m not listening to the local station in my car, I’m listening to podcasts or the local public radio station that features indie and alternative music. May I suggest that everyone listen to WFPK in Louisville. It’s one of the best. I grew up in Florence, Ky., a suburb of Cincinnati, Ohio. The first place I ever lived, though, was Rabbit Hash, Ky., a small hamlet on the banks of the Ohio River that elected a dog as mayor — seriously. I have two siblings, four step-siblings, two nieces and one nephew. I spent most of my childhood living in a house next to a highway that people liked to use to drop off unwanted pets. Because of this, we usually had several dogs at once, nursing them back to health before finding new homes for them. At one time in middle school, I counted that we had taken in more than 40 dogs while living there. I cherish watching a great movie for the first time. Seeing the credits roll at the end and having the feeling that I had just witnessed something wonderful — I crave that. When I was in elementary school, I thought Indiana was nothing but cornfields. Determined to learn the truth, I called several 1-800 numbers listed on tourism pamphlets my grandmother had given me from a trip to that state, requesting more information and more pamphlets. And when those came in, I scanned them for more 1-800 numbers to call to get even more pamphlets. One day I came home from school to find a giant pile of mail from Indiana that had arrived for me. My parents didn’t know what to make of it. I tend to end my sentences with “you know?” I’m trying to stop it. I’ve been told more than once that my name sounds like it’s out of Harry Potter. I take that as a compliment. What is the significance of all of these? Probably not a lot, but these are the types of things I love to learn about other people when I meet them through my reporting. These are the details that make them seem the most real, the most interesting. 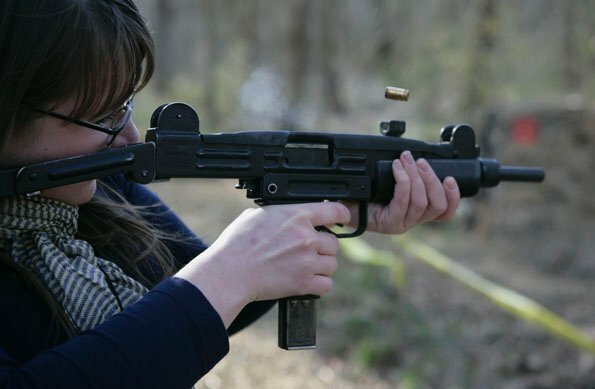 I got to shoot an uzi while doing reporting for a feature story about the Knob Creek Machine Gun Shoot in Bullitt County, Ky., in 2009. I don't think I was very good at it.